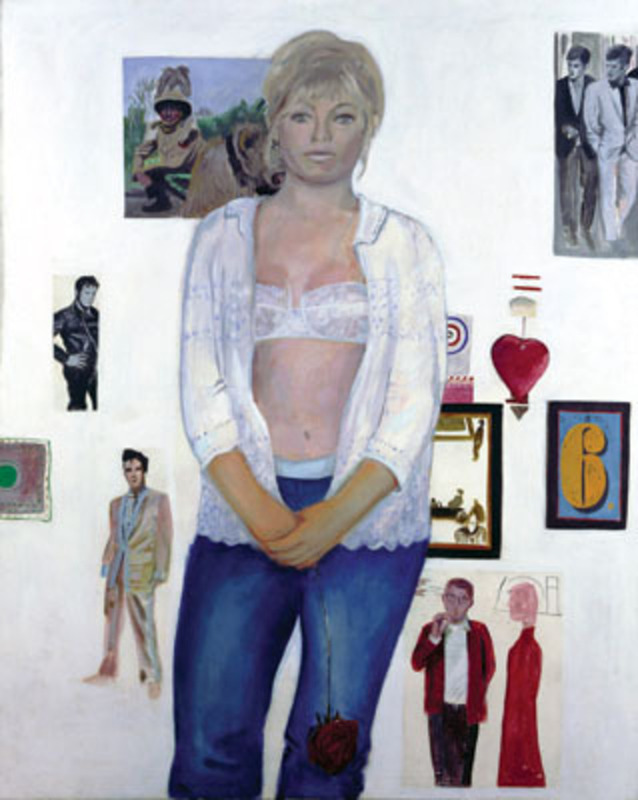 Pauline Boty, The Only Blonde in the World, 1963, oil on canvas, 88 5/16 x 60 1/4". © Estate of Pauline Boty, 2007. The lollipop-wielding bodybuilder in Richard Hamilton's iconic 1956 collage may explain why Hamilton is often credited with inventing Pop art, but the artist was hardly mining that vein alone. Indeed, in the early 1960s a new Pop sensibility was emerging not only in London but across Europe: In Frankfurt, for example, Thomas Bayrle was making paintings that celebrated mass production and a sense of flatness, while in Iceland, Érró was producing his own inimitable Pop imagery. Through some eighty works by twenty-four artists—including Pauline Boty, Öyvind Fahlström, Raymond Hains, Niki de Saint Phalle, and Wolf Vostell—this exhibition aims to showcase the wealth and diversity of European Pop from 1949 to 1959 and to contrast these works with those of their better-known American counterparts. An extensive catalogue with essays by Tobia Bezzola, Walter Grasskamp, and Catherine Grenier accompanies the show.